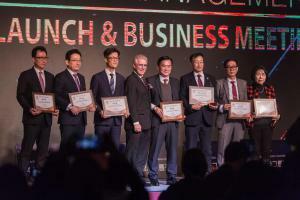 NEW YORK, USA, March 16, 2019 /EINPresswire.com/ -- Phoenix Wealth Management has recently sparked heated discussions in various financial markets within the Asia-Pacific region. Many investors are paying close attention to every movement of Phoenix Wealth Management; since the 5th of January, Phoenix Wealth Management has launched a financial service center in Shanghai, China and has been actively developed a comprehensive strategy for expansion in the Asia-Pacific market. Since mid-January, there has been a large-scale publicity campaign which features billboards in major subway stations in Seoul, South Korea. This has become a talking point with the South Korean financial investment community. On 29th January, we officially launched the financial service center in Gangnam, Seoul, which attracted more than 500 media friends, financial investors and international partners from the Asia-Pacific region. 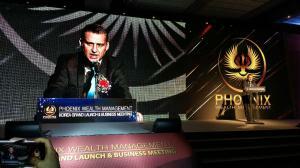 We believe that Phoenix Wealth Management will soar like a golden phoenix and create positive waves across South Korea. 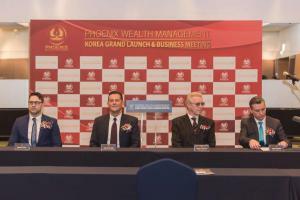 Phoenix Wealth Management will provide our investors in Korea with the most comprehensive investment plans and strategies and will lead the Asia-Pacific financial investment industry and our partners to create new heights of success!